Apple does have a good track record for ensuring that the community keeps up with the latest upgrades. In fact, more than 80% of users are on the most recent version of iOS8 compared to less than 15% for Android. Swift is expected to achieve a great deal of popularity in short order as developers jump at the chance to finally have an alternative to Objective-C. Generics and inferred typing are big time savers for developers, and the ease of learning the language removes a significant barrier. What about the code itself? 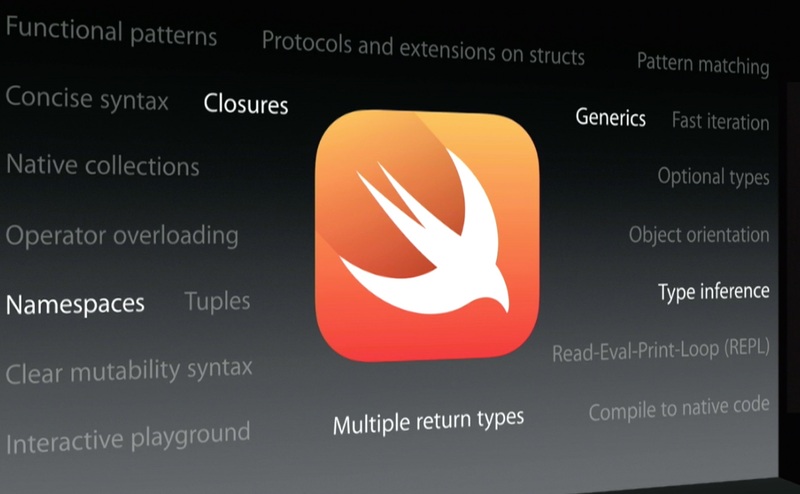 According to Cade, “It compiles quickly, transforming from raw code into an executable software app, and then that app executes quickly, meaning it runs on your phone or tablet at high speed.” When iOS9 is available, the ability to develop contextual apps in Swift for iPhones and iPads will be added to the mix. At the same time, Apple is playing to an enterprise audience very heavily with an emphasis on security and reliability. Here at Ayoka, we’re already coding in Swift to deliver the advantages of this new language for our business clients. Contact us at 817-210-4042 for your iOS app development needs.